Here at Go Plant we specialise in providing an exceptional road sweeper service countrywide, through our four trading divisions: operated, self drive, repair & maintenance, environmental. One of our most popular options is self drive road sweepers. We supply a range of rentals for self-drive road sweepers, refuse collection vehicles, pedestrian sweepers and other specialist vehicles on a short team basis. 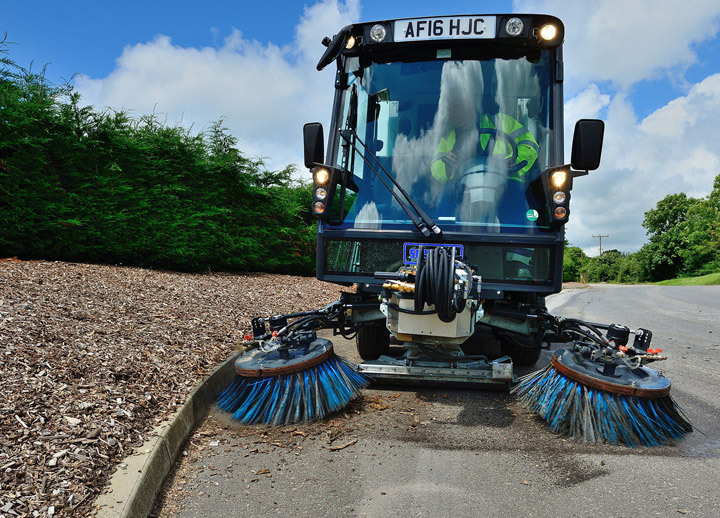 We endeavour to deliver high levels of customer satisfaction throughout the hire of our self drive road sweepers and so have a firm focus on delivering first class service and continually investing in the latest fleet of road sweepers. Our fleet is constantly being improved and updated to provide the highest specification vehicles for hire. We also ensure that our road sweepers are competitively priced for hire, presenting real value for money for your business or organisation. By choosing self drive road sweepers, you also benefit from our high levels of support. All of our road sweepers are supported by a nationwide service centre network and a fleet of support engineers. We’ve developed of 24/7 fleet support service to ensure that you receive support when you need it most, and to try and reduce service disruption. With a network of over 20 service centres over the UK we can service your business or organisation wherever you’re located. To ensure that the process is as easy as possible we can also arrange local delivery as and when required. Our self drive road sweepers are available for a variety of contract lengths. If you would like a quote or if you have any questions about our services then please don’t hesitate in contacting a member of our team. We also supply operated road sweeper hire to a wide range of businesses throughout the country.